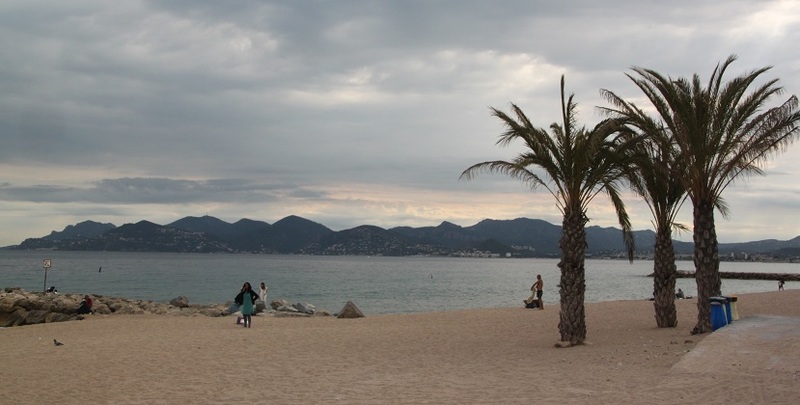 Cannes was our destination of choice, next job was to sort accommodation. We looked at various options, browsed all our regular websites and eventually settled on an apartment we all agreed suited (or looked like it did) perfectly. Not cheap but not over the top expensive and (crucially) available for our dates, we booked straightaway and found the owners helpful and responsive. We arrived late in the evening, the owner’s local lady came to meet us and showed us around as well as taking a cash deposit which was to be returned to us when she checked the place over before leaving. That was fine with us. 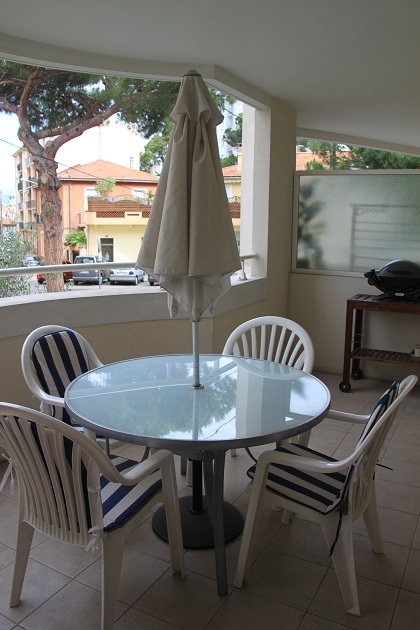 The apartment was easy to find, slightly further out of the centre of Cannes than we were expecting but that actually turned out to be a good thing too. It was fresh, modern and comtemporary with a big living/dining area with white leather sofa and dining seating for six. The television was teeny tiny – we did actually intend to watch some DVD’s a couple of nights but gave up as the DVD player refused to work. There was a small galley kitchen which had everything you could need, the cupboards were extremely well stocked with condiments, foil and other bits and pieces – a lovely surprise. There was a welcome box in there too with chocolate, jam, tea, a bottle of wine and some other little essentials. Two bedrooms – both incredibly small but there were fitted wardrobes and the beds were super comfortable. The bathroom was modern and the whole place was air conditioned throughout – definitely necessary. Best of all though was the huge balcony, not so much of a view but plenty of space with table and chairs, sun loungers and an electric grill. The apartment complex had a pool which we could use – we never did though and even our own parking space. 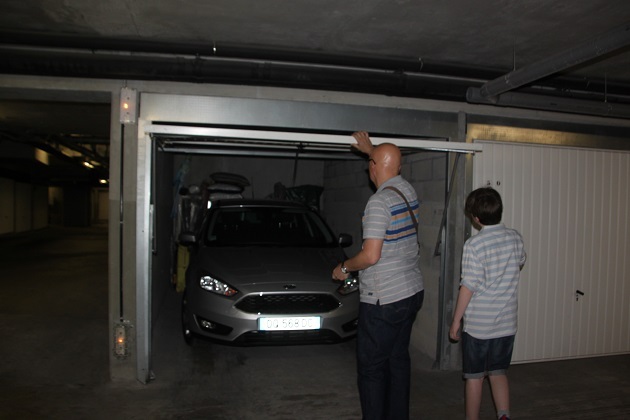 This was deep underground in the garage which was fantastic although anything bigger than a tiny car definitely would never have fitted. Husband struggled a few times squeezing our hired Ford Fiesta in, I would never have coped. The area was mainly residential, great as there were so many wonderful food shops within walking distance. A boulangerie just across the road, we got fresh bread, croissants and pain au chocolates every morning and just steps beyond that a wonderful butcher and market selling fruit and vegetables at bargain prices. A couple of big supermarkets less than 5 minutes away and we had everything we needed. 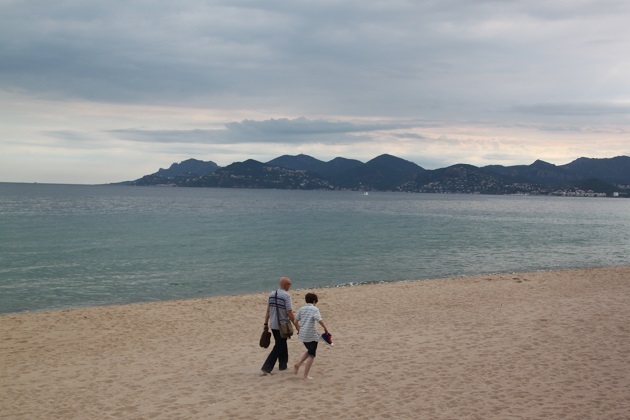 Just a short stroll away was the beach, one of the best in Cannes as it actually had proper sand. 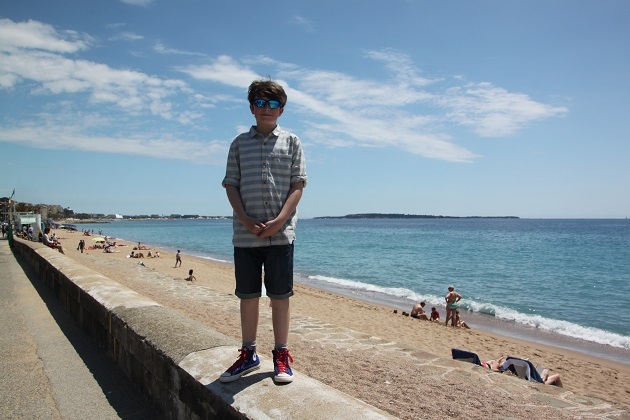 We decided on our first day to walk into the centre of Cannes, a super hot walk which took over an hour, when we discovered the railway station just behind the apartment and it was just one stop to the middle of the city we chose that option afterwards. We were also able to take the train from here to Nice and Monaco. We BBQ’ed on our balcony a few nights and on the others found some incredible little local restaurants steps away. Le Bistro de la Verrerie called itself a French pizzeria, full of locals, a bit rough and ready but absolutely splendid food at eye poppingly cheap prices. 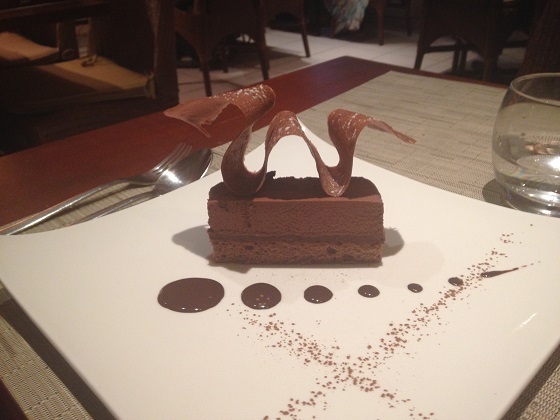 Our second restaurant find was the piece de resistance. Tiny, beside a church and called La Luna there were only a small number of customers and a few tables. 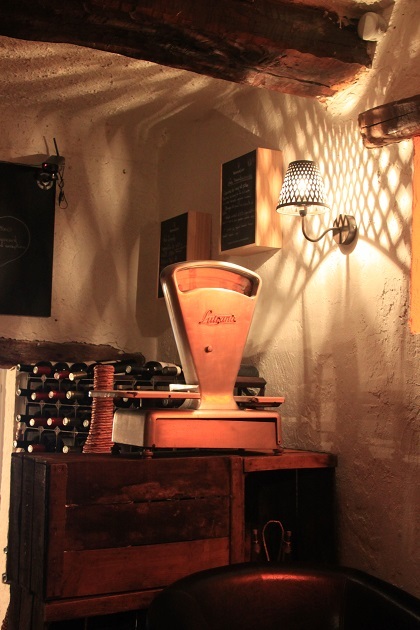 We feasted on their gourmet menu – 34 Euro for 3 courses and every mouthful was exquisite. Scallops to start, monkfish for main and delicious desserts. They prepared a kid’s menu for Son – 2 seabass fillets with a variety of fresh vegetables, not the norm by any means. We left agreeing this was the best meal we’d had out in a long time. Another little neighbourhood restaurant was where we dined on our last evening in Cannes. 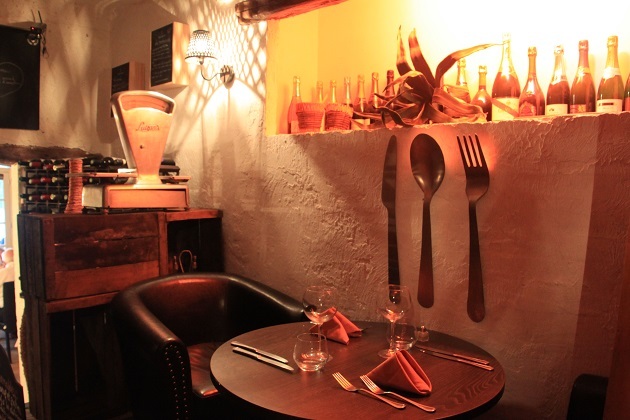 Quirky, full of old “junk”, just a few tables and the most wonderful food. A perfect end to a perfect stay in a lovely residential part of the city. 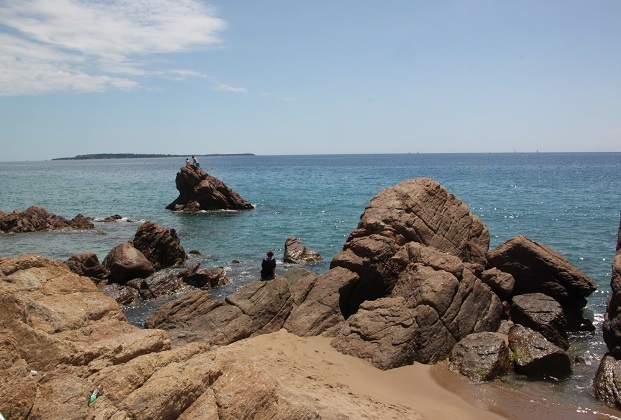 It was – despite initial reservations when we found it was further out of the centre than anticipated, the apartment and everything about it including location were just spot on. Looks gorgeous! I love Cannes. We did too Clare, somewhere I would definitely revisit! This was a great place, we loved staying here and being able to explore and do all the touristy stuff but still feel a bit like a local by shopping for food and staying in a residential part of this lovely city. Actually the mural was on a building in Cannes – bit of a cheat there, the apartment block was a bit bland and modern from the outside!! That vacation apartment looks perfect and how convenient that it was so close to the train station too. That parking situation would have given me palpitations though even with a small compact car and there is no way in heck a car big enough for the six of us would get into that space. 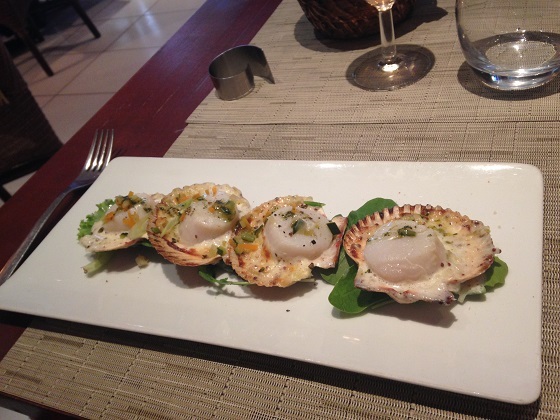 I absolutely love scallops but have not had any since we returned to Scotland last summer so I was drooling at that photo and then scrolled on to that dessert and drooled even more. Oh the food there Laura was just sublime – drooling just thinking about it now…. 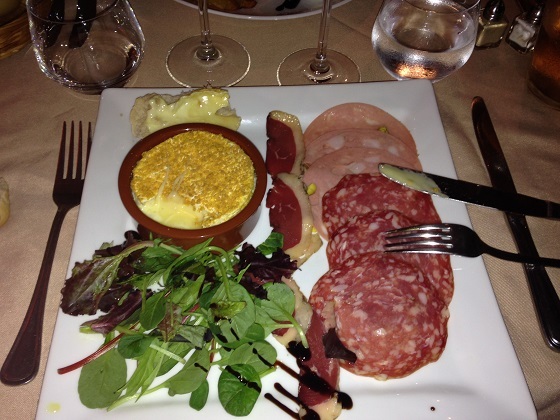 and so reasonably priced for such a feast, only in France!! The apartment was wonderful, staying in a residential area was a great experience but being so close to the trains to get out and about, we loved that too. The parking though, a different matter, let’s just say had I needed to drive we would have been taking the train everywhere! 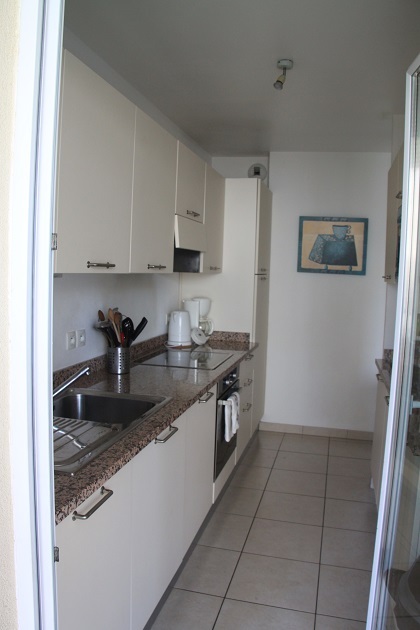 Your apartment and the dining options you chose look really good. The food in the last restaurant is beautifully presented and I’m sure, tasted delicious, too. All of the restaurants we found were incredibly and so cheap too – the perks of staying in a residential area for sure! Looks like a great place to stay off the beaten path and immersed with local flavor! Your meal looks wonderful! We have been to Monaco and Nice, can’t wait to see your posts! It was just perfect Pam, a little chance to see how the locals lived and with the added bonus of those incredible little restaurants on the door step, a wonderful experience. Thanks Robin, it really was though, we loved staying here and living as a local for just a little while. Can’t believe how empty that beach was! Looks beautiful! 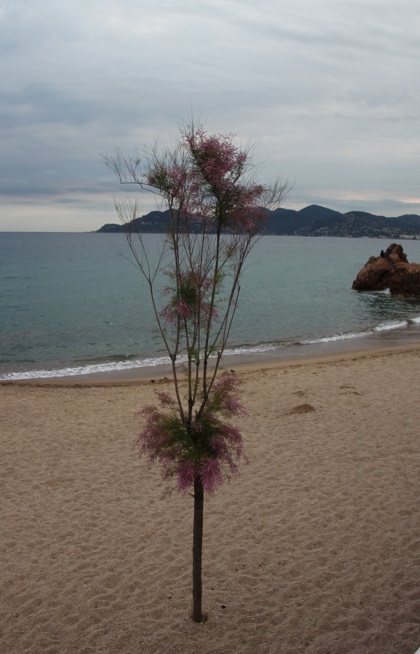 The beaches in this area were stunning and like you say, really empty unlike closer to the centre of Cannes. Framed with the mountains in the background and those palm trees and it was like paradise. Looks a great place to stay. Love the mural at the top of the post too. 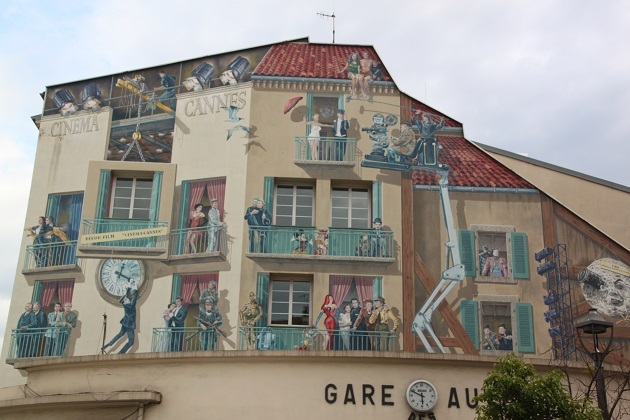 The mural is a bit of a cheat though Anabel, I saw it on a building in Cannes and loved it so just stuck it into this post – nothing to do with the apartment unfortunately, I just liked it!! I thought it could have been the station behind, since it said Gare, till I read your explanation in another comment. It’s lovely anyway! Sounds fantastic! 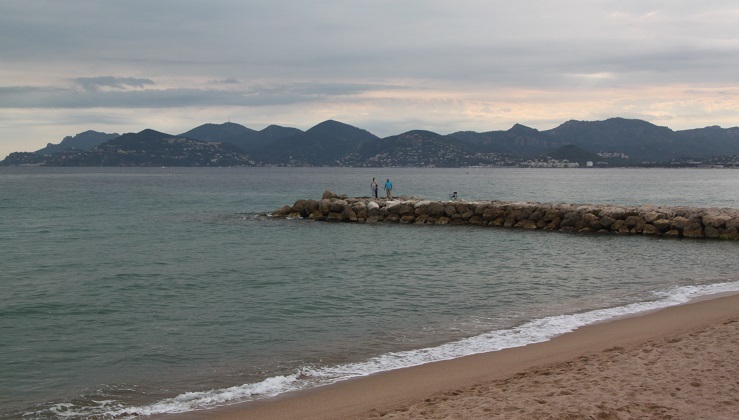 Always wanted to make it to Cannes and Monaco– maybe some day! Hopefully you’ll make it there – it’s beautiful and so many other gorgeous places to explore too. Thanks Shirley, I quite like to write about where we stayed and what we did in that area, like you say it often gets overlooked in favour of the sights and activities but nice to look back when the memories have faded a little and be reminded of the little things! What a great trip and such interesting photos. The food looked amazing and the apartment cool and quirky though that parking spot was crazy. I don’t know how you get out after you’re in. Staying in an apartment and becoming part of the neighborhood is the way to travel. 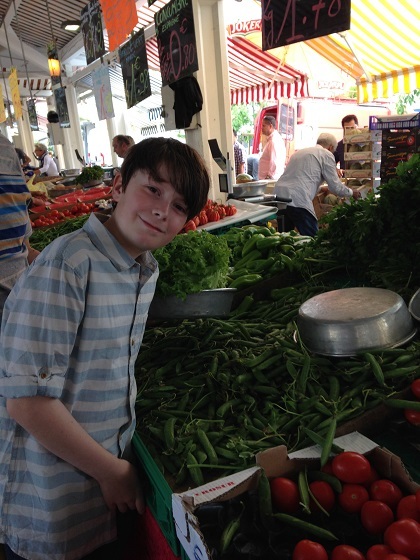 Absolutely George, we had a great time living a bit like the locals do, it makes things like food shopping so much more fun! The parking though, well that was a different matter!! It actually worked out so much better Rosemary staying a little way out of the centre. It was only a 5 minute train ride to the middle of the city but it felt like a world away and then we had the benefit of those lovely little restaurants – wonderful food and for a fraction of the price the more touristy (and not so good) places right in the centre. We’ve had some lovely sunshine last week and just hoping it lasts a while longer! Hope your weekend is going well too. It was, the perfect place to stay really! Absolutely, parking there is not for me!! The food was just superb and like you say incredibly cheap – we paid so little and ate so well, amazing!! So nice that you stayed in a residential area and could really soak up the local flavor. Someone else said they can’t believe how empty the beaches are and I agree! They were packed in the closer to the centre and nowhere near as nice!! It was really wonderful to stay in this area not least for those empty sandy beaches! We loved it here, so beautiful and so much to learn about. I do love stumbling across old neighbourhood restaurants. They always seem to serve up the best food. 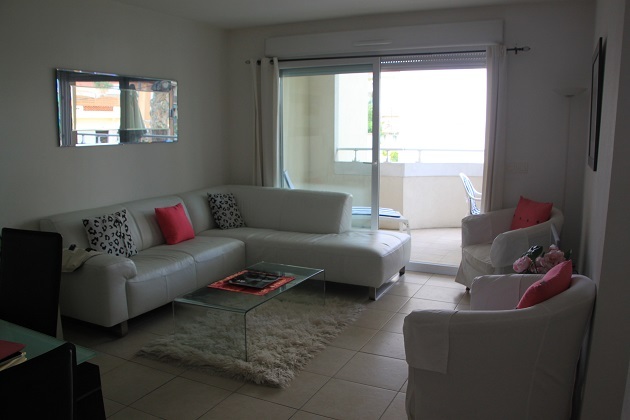 The apartment looks like a good, more reasonable alternative to accommodation in Cannes – I’ve heard it can be very expensive! Hotel prices were extortionate, but then it was the tail end of the festival so they may have been inflated as well. 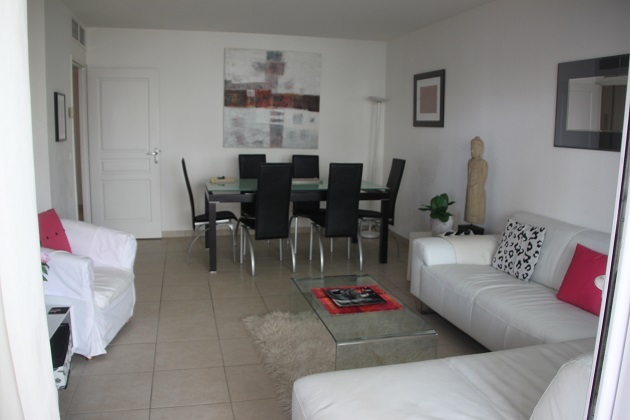 The apartment wasn’t cheap but was better value for money and with those restaurants on the doorstep just perfection.